Former US navy sailor John Walker Jr., who led a spy ring for the Soviet Union, has died in a prison medical centre at the age of 77. 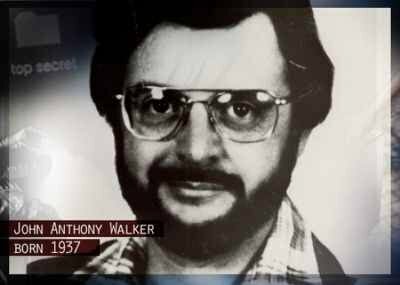 Retired Navy Warrant Officer John Anthony Walker was sentenced to life in prison in 1985 for passing codes and other sensitive data to the USSR. John Walker Jr. had recruited his son, his brother and friend to continue spying after he retired. All were convicted. The breach was considered among the largest leaks of military secrets in US history at the time. John Walker Jr. pleaded guilty in 1985, in a deal to gain a lighter sentence for his son, who was released in 2000 after serving 15 years in prison. The spy ring began when John Walker Jr. walked into the Soviet embassy in Washington DC in 1967, and offered to hand over secret coded material on a regular basis. The Soviets used the information John Walker Jr. and others passed to them over the course of 17 years to decode millions of secret US navy messages. Prosecutors said at the time of his arrest that John Walker Jr. was more motivated by greed than ideology. John Walker Jr’s cause of death was not immediately released.